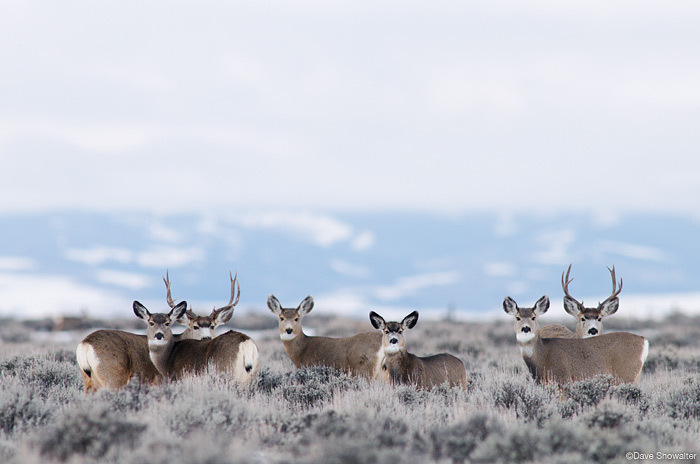 On Pinedale Mesa in the Upper Green River Basin, natural gas drilling on crucial winter mule deer range has decimated the Pinedale mule deer herd. The decline is 60% over the last ten years and winter drilling continues 24-7. Odocoileus hemionus. Photo © copyright by Dave Showalter.